The Can Lluc agrotourism hotel lies just a few kilometres from Ibiza's lovely coves, with views of the sunset over San Antonio, and only 10 km from the cosmopolitan city of Ibiza and its magical nights. Its location is one of its strong points; close to everything, yet still offering peace, tranquillity and privacy. 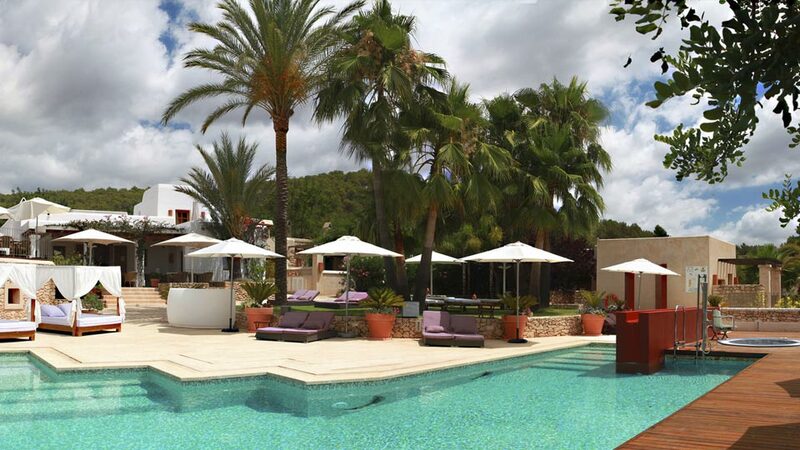 This charming Ibiza hotel, offers 20 rooms, restaurant, wellnes room, pool and jacuzzi. Free wifi is also offered. Roaming thr rooms nooks and crannies is to immerse yourself in the Ibizan countryside, its calmness, the sunsets enjoyed from the viewing platform, siestas beneath the carob trees, a dip in the pool and nights beneath a thousand stars.